Stitching.ca | StitchingCA StitchingCA: My finishing pile is dwindling! My finishing pile is dwindling! Recently, I took out a few things that have been in my "to be finished" stack for literally years and finally finished them off. First up is one of my very first pieces of hardanger. 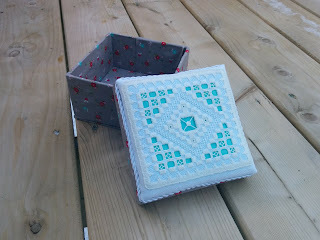 To finish it, I backed the hardanger with a piece of teal cotton that perfectly matched little flowers in the floral print that I used to cover a paper mache box. I'm quite pleased with how it turned out and use the little box to store some bits and bobs. 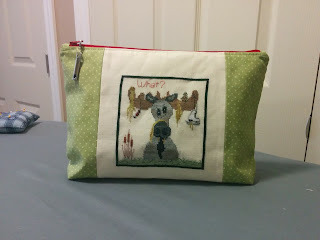 Next are a couple of cross stitch pieces that I made into cute zipper pouches with bright red zippers. 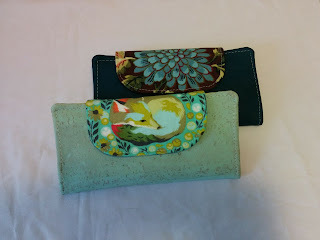 I finished them off with metal zipper tags with the Canadian maple leaf. These pouches are being used as project bags. 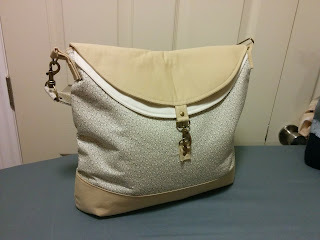 Since I really needed a new purse because mine was looking quite shabby I decided to make my own. I found the Hippo Hobo pattern by Emkie Designs and made two - one for winter and one for summer. They're a little on the large side, but they're perfect for carrying my things to work and since they're quite light I don't mind using it as an every day bag either. I thought I'd practice making some wallets with cork and whipped up these two Slimline wallets. 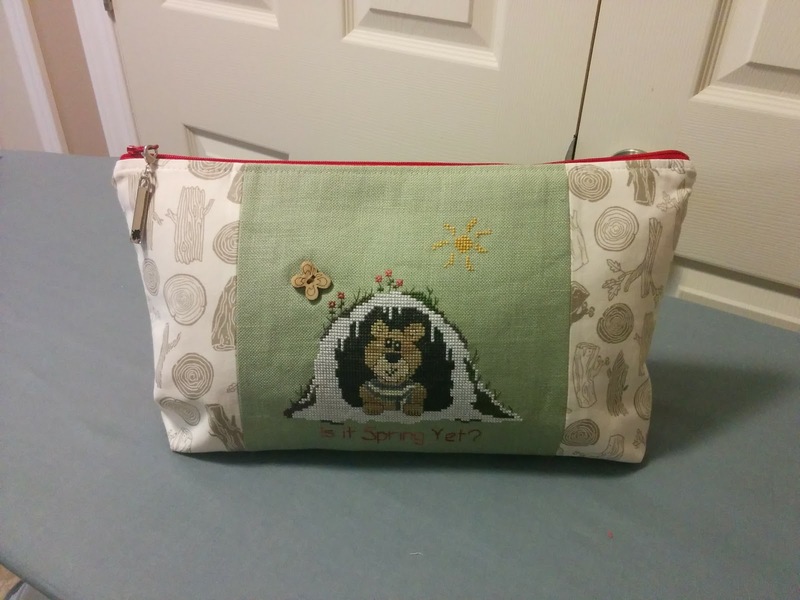 The pattern is by Carla's Creations and can be found on Craftsy. 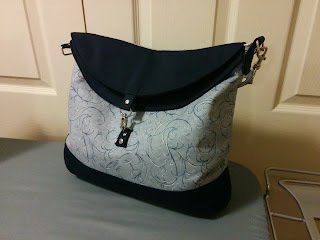 I especially love the Tula Pink fabric. That fox is simply the cutest thing ever. 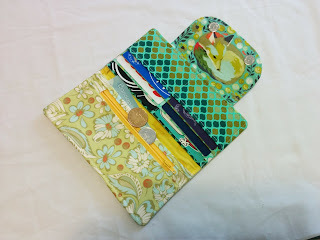 I've been on the lookout for a small wallet pattern for awhile and came across the Limelight wallet designed by RLR creations. 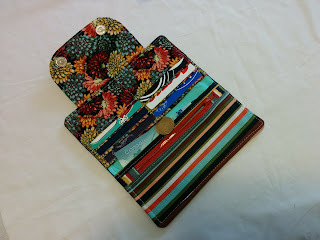 I love the ID window in this one, but managed to flub it up when I was ironing it towards the end. If you look closely you can see the melted plastic. 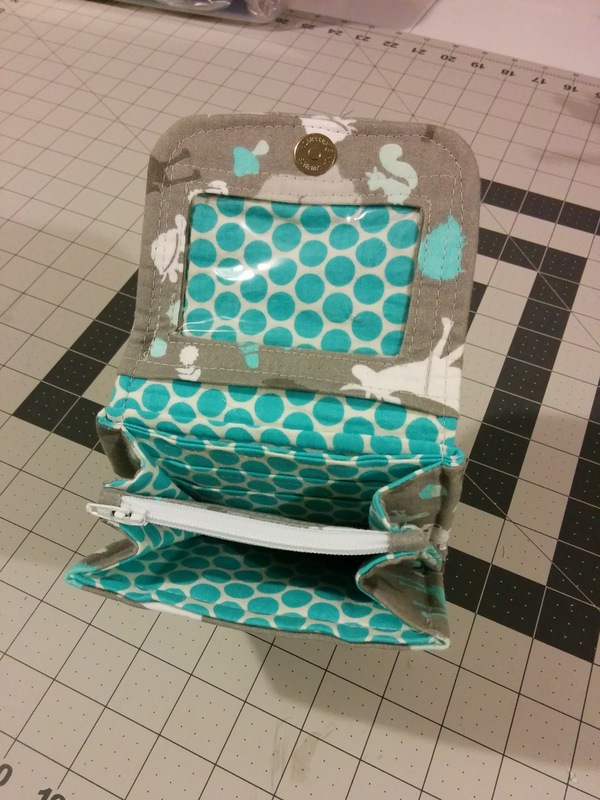 Aside from that, I consider it a success. 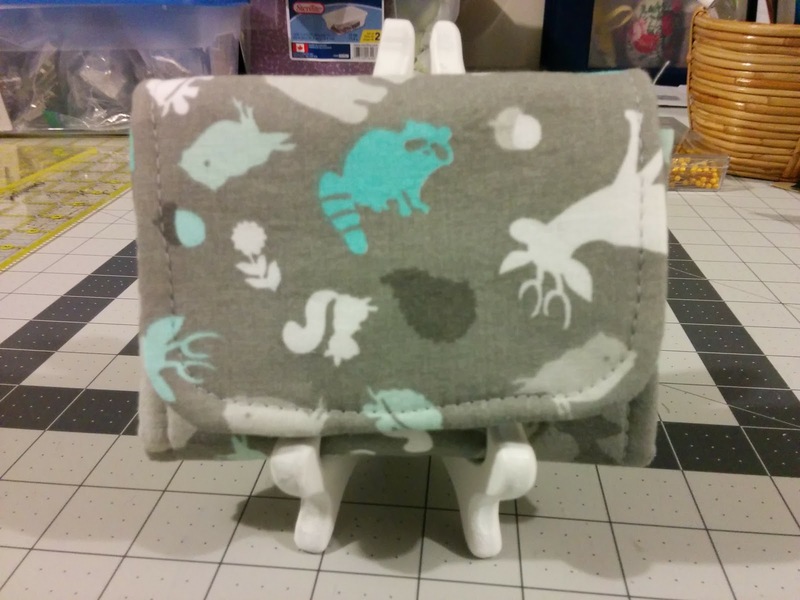 It's an adorable little wallet pattern. That's all I have for now. I've been working on some passport wallets and a pouch with RFID protection, which I'll talk about in another post.